If you have been following our recent RB Prestige articles, or even follow us on one of the many social media platforms we are on, then you would have heard our slogan, “Next Car, First Car, Dream Car”. Not many car dealers can offer this diverse range of stock, and creating a slogan is one thing, but keeping to it is another! So, this month we have decided to take a short look through some of the current vehicles we have in stock and explain why we think we truly can deliver on the bold words above our door; “Next car, First car, Dream car”. 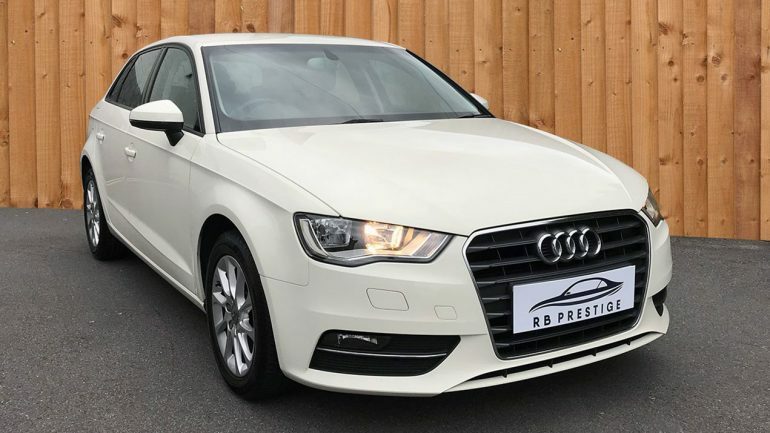 Audi A3 SE (pictured above): While many people may not see this as a first car, it must be remembered that many people still do not pass their driving test as soon as they turn 17. In fact, a couple of years ago the average age to pass a driving test was 26 years old! Therefore, the Audi A3 makes a practical hatchback that has style and reliability without costing the earth in insurance – being only group 16. What’s more, boasting Sat Nav, Bluetooth media and a multi-function steering wheel, being an older new-driver no longer means you have to apologise for the car you are driving to your peers! Mercedes Benz C250 AMG Sport: This stunning looking C250 is placed in our Next Car segment but can equally be found alongside the Dream Cars. 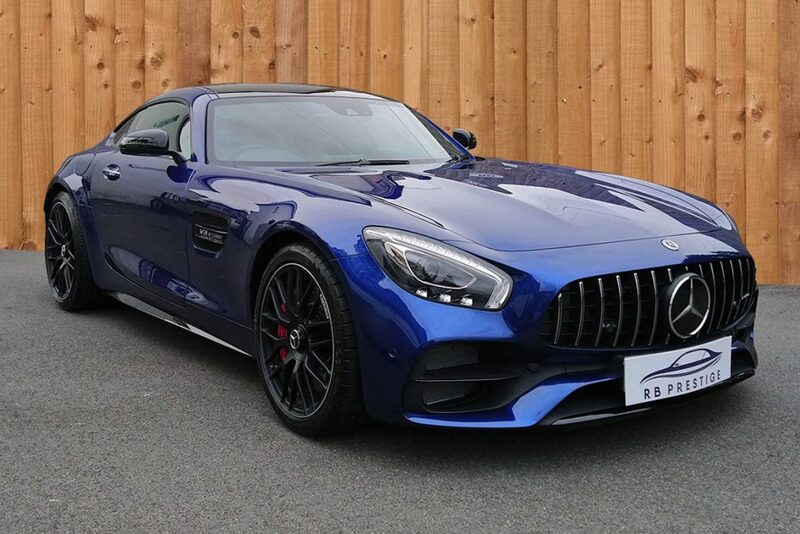 The unique extras to the vehicle, including satin black wheels, satin black chrome delete, rear privacy window tints and boot lip, make it a stunning car to look at that promises to turn heads. Meanwhile, the sliding panoramic glass roof, navigation and paddle shift gearbox give the sporty and luxurious feel that most look for when purchasing their next car. 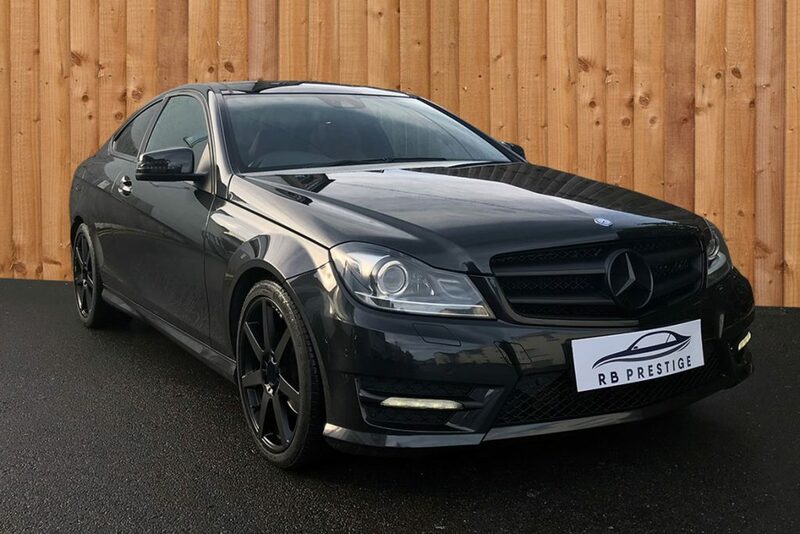 It is affordable yet tasteful – why not give this car a go, or find out what we could do to your car to make it your own. 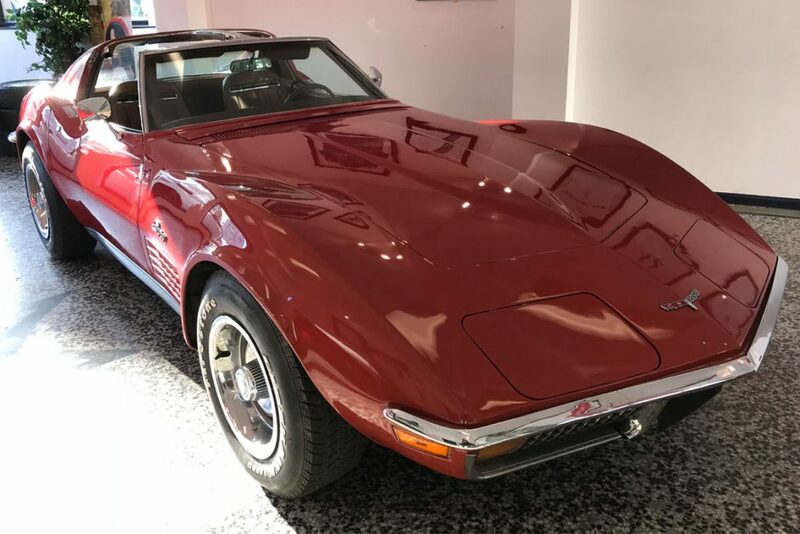 1972 Corvette Stingray: Collectors, scratch that, EVERYONE is sure to agree with our decision to place our Corvette Stingray in the Dream Car section. While some people see Ferraris and Lamborghinis as dream cars, others cannot seem to take their eyes off the classics and the priceless nostalgia they bring with them. The Corvette is just one classic we have in the showroom currently – he is joined by a 1990 Porsche 911 964 and a 1967 Ford Mustang! (Now that’s a dream team) We have access to a vast selection of classic cars owned by collectors across the globe. We don’t just do modern cars you know! 2018 Mercedes Benz GTC Coupe: No Dream car line-up would be complete without the occasional supercar! And our list is no different. Our valued contact, Mark Francis (the Group Business Development Manager of Sandown Mercedes-Benz Fleet Department) means we can get you any of the current Mercedes-Benz range at incredible rates. This GTC Coupe is one of many cars that this valuable relationship allows us to offer. With a 0-62mph time of 3.7 seconds and the twin turbo V8 producing 557Hp, this car definitely tops our Dream Car category! Who would get bored of hearing this start up in the morning? Don’t forget, while we may not always have a supercar in the showroom, we have many available to us thanks to our numerous valuable contacts! Ultimately, whether you are purchasing your Next, First or Dream car through the RB Team, or you are simply visiting the showroom for a coffee and for a quick look at some of the classics, our door is always open and providing prestige for all. All types of cars and all types of everyone.